Ever dreamed of exploring some of the most incredible castles in Europe? Well, I’ve a passion for visiting amazing castles, all around the world. And I’d love to show you some breathtaking places! I’ve explored red-stone ruins hidden throughout rolling green England. I’ve toured dusty Islamic fortresses lurking within the arid Spanish plains. And I’ve searched for sea-splashed stone strongholds, guarding North Wales. This site is filled with my tales and photographs of castles I’ve loved. I hope it inspires you to get out there and see these places for yourself. Since 1066, England has been peppered with castles, built for defence and prestige. Discover some of the most amazing castles in England, ranging from the famous to the truly forgotten. The battle for Scottish independence has left Scotland with many majestic castles. Discover the greatest castles in Scotland, and unpick the history behind Scottish Independence. It's not just the countries of Western Europe which are filled with amazing castles. Throughout the continent, there are incredible examples of castle architecture. 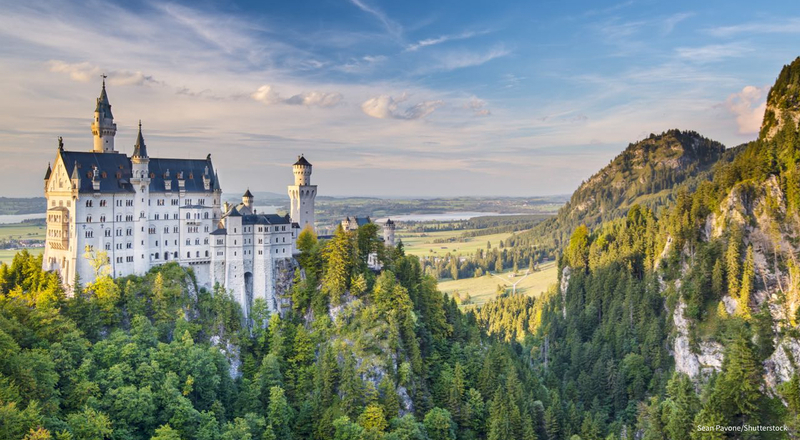 Uncover the highlights of Europe's castles - from tiny ruins to mighty fortresses. North Wales has a stunning selection of world-class castles. Many are UNESCO World Heritage Sites. Uncover the most remarkable Welsh castles, and learn more about Edward I - the man who forged them. Discover breathtaking castles throughout Europe. Uncover stories of kings and queens in English castles, and long-lost Scottish fortresses.